« Is Underwear a Legitimate Function of the Federal Government? I’m in Europe as part of a six-nation speaking tour, participating in the Free Market Road Show. My first speech was yesterday in Greece, which is infamous for a government that is insanely wasteful, even to the point of subsidizing pedophiles and requiring stool samples from folks applying to set up online companies. But I don’t want to share anything about my remarks, which would be rather familiar to regular readers of this blog. Instead, I want to share a couple of slides from Professor Aristides Hatzis of the University of Athens. 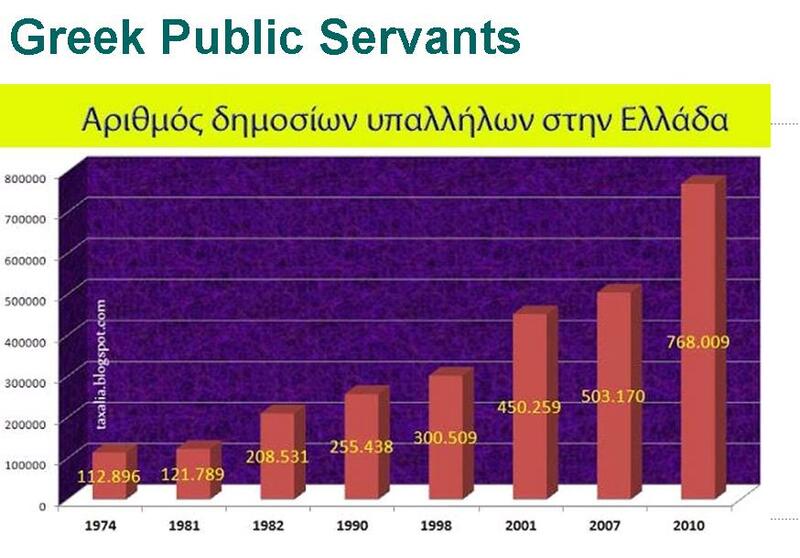 Let’s start with a look at the number of bureaucrats over time in Greece. You don’t need to read Greek to see that featherbedding exploded over the past 35-plus years. As you can see, it’s an expanded version of this grim chart. Now let’s look at another slide from Professor Hatzis. 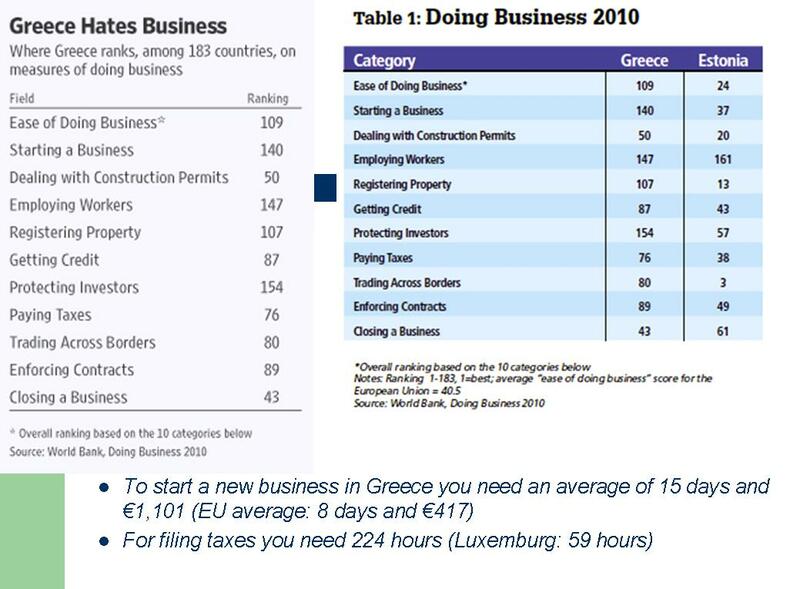 When you see these numbers (or read this information), it’s a surprise that Greece didn’t collapse earlier. One reason that I liked the presentation from Professor Hatzis is that he included a couple of amusing cartoons, one of which he borrowed from the United States. 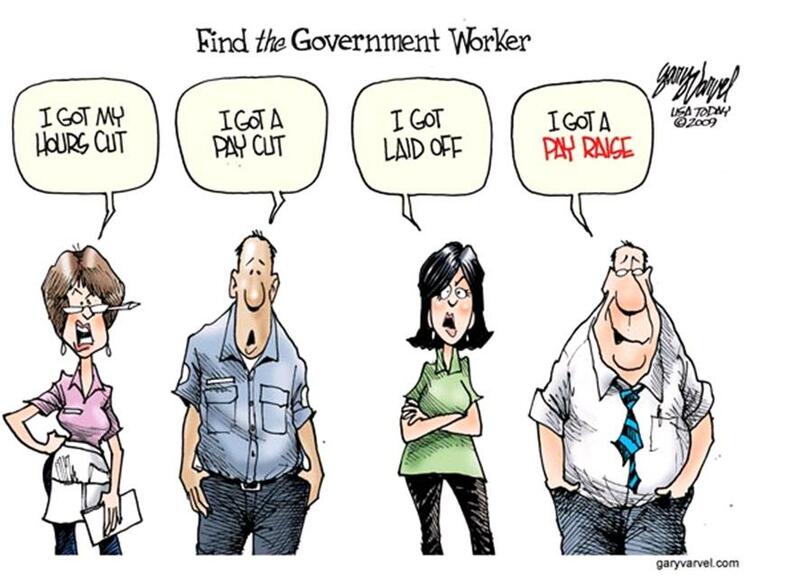 Here’s the Gary Varvel cartoon he shared with the Greek audience. Varvel, by the way, was part of my political cartoonist contest. His cartoon on Social Security and Bernie Madoff was my favorite, but the above cartoon would have been a good addition to the list. Speaking of cartoons, you can see good cartoons about Obama and Greece here and here. And here’s a cartoon about Greece and the euro. I’ll close be recommending this very funny video from a Greek comedian and this non-PC map of how the Greeks view the rest of Europe. Greeks seem to love Big Government but look what it’s brought them.